Ann is a native of Edwardsville, Il. She is a graduate of Illinois State University, Normal, Il. 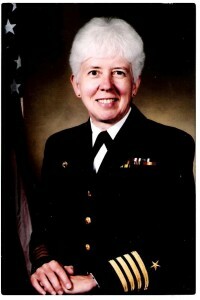 Ann joined the navy in 1976 and reported to Officer Candidate School. She served in administration and aviation maintenance while with Attack Squadron 128, Naval Air Station (NAS) Whidbey Island, WA. Thru her career she received her Master of Science degree in Financial Management. Ann worked in positions of Financial Manager for Enlisted Permanent Change Station Program, executive officer of Naval Recruiting District and Recruiting and Advertising Program manager on the staff of the Chief of Naval Operations. Center, Jacksonville, FL. She was promoted to captain in 1996. Ann has many personal awards, commendation and achievement medals. 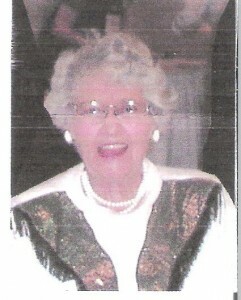 Ann retired in 1999. Betty is a graduate of Illinois State University, Normal, Il. 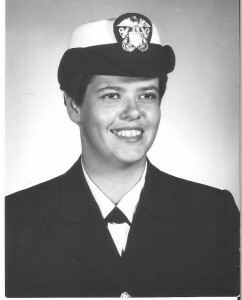 She joined the Navy from 1959 to 1961, and attended the Navy’s Officer Candidate School at Newport, RI. Betty’s duty station was the Pentagon, where she served in the office of the Chief of Naval Operations. Betty worked on classified communications. Marion served in WWII from 1944 to 1946. 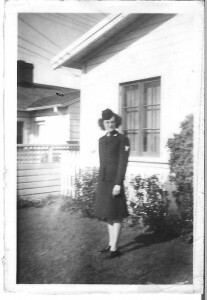 She joined the Navy and was stationed at Naval Air Station Terminal Island, San Pedro, Ca. Her rate was Aviation Machinist Mate 2nd class. Her duties included calibrating air speed instruments on new planes, especially PBY’s (Sea planes). During her time Australian pilots visited her hanger where she worked. Rosemary and her twin sister joined the Navy together. The navy had height limits for enlisting, and Rosemary was 4’10 ¾ “ and regulation said 4’11”. Working with a doctor in Bloomington, they tried to starch her neck muscles, but because she was told she could enlist with her sister, who was 5’4”, she was able to join. She went to boot camp in New York. While in the Navy she worked in cable censorship, in San Francisco, Ca, making sure ship to shore communications did not contain vital information for the enemy. Her rating was yeoman 3rd class and served from 1944 to 1946. Maxine, as she preferred to be called, joined the Navy from 1944 to 1946, and went to Hunter College in New York for boot camp. While in boot camp she was in the WAVES Singing Platoon, a chorus group. They gave concerts in New York City, and other local towns, near base. They were also invited to sing on the Perry Como Radio Christmas Show in 1944. 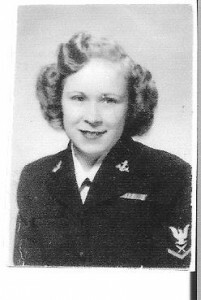 Because of Maxine’s two years of college in mechanical engineering studies at Western Michigan University and Illinois Institute of Technology, Chicago, she was qualified to work in war industries, drawing blueprints for weapons of war, so she was stationed at the Naval Gun Factory in Washington D.C.
Maxine is sponsored by her son and the Anan Harmon Chapter of the Daughters of the American Revolution. 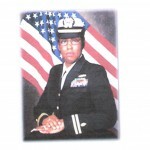 Stacy began her Navy career in 1991 by enlisting and serving ten years as a dental technician. She was stationed in San Diego, Navy Hospital Guam, hospital ship USNS Mercy. She deployed for Operation Desert Shield / Desert Storm and several global humanitarian missions. She was commissioned a ‘mustang’ Lieutenant Junior Grade in 2001. This term indicates someone rising from enlisted ranks to officer. She reported to the Naval Medical Information Management Center, Bethesda, MD. Lt. Henderson was deployed for Operation Enduring Freedom and Operation Iraqi Freedom in 2004 with Fleet Surgical Team 8. She was assigned to several ships, as Surface Warfare Medical Department Officer, among them USS WASP, USS BATAAN and USS IWO JIMA. Stacy received many sea honors and distinctions. From 2007 to 2012, she was assigned to Navy Recruiting Command, Region West, and her last duty station before her retirement. During her Navy career she received a B.S. Degree in Education, a Masters Degree in Health Management, pursued a PHD in Business Administration, A Doctorate program in Christian Leadership and has certificates in Military Science and Health Care Law. 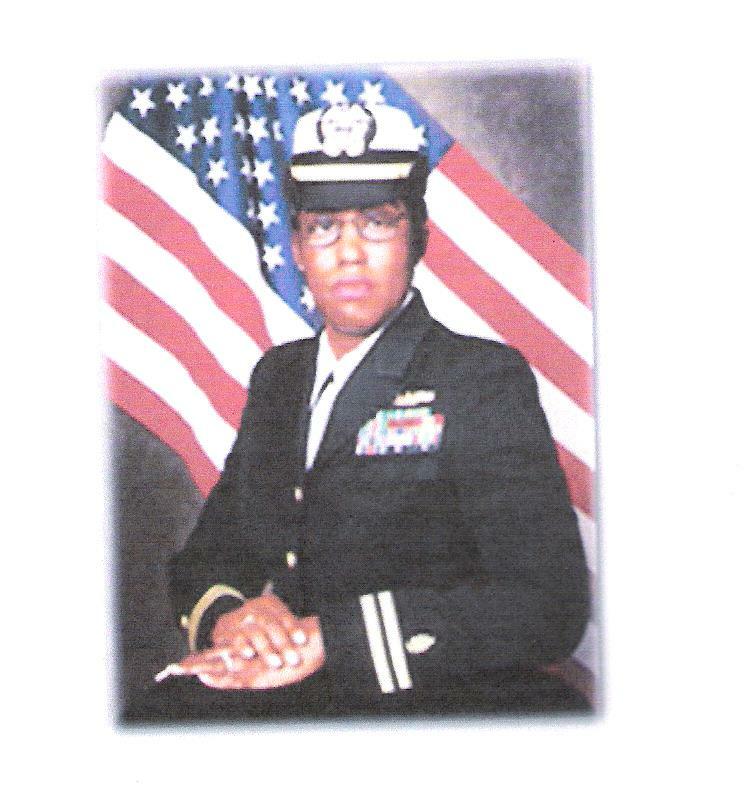 As a single parent she penned a memoir in appreciation of the sacrifices her children made during her Navy career. The book, For God and Country: The Service and Sacrifice of a Single Military Mom. Her military decorations include many Navy and Marine Corps medals with stars. Sarah enlisted in the U.S. Navy in Oct of 2001. She was stationed at NAS Oceana, Dam Neck for training as a fire control man. They are trained to operate, repair, and maintenance of different weapons systems. Sarah was promote to FC3, and was at Naval Station Everett, WA.